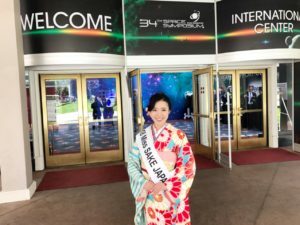 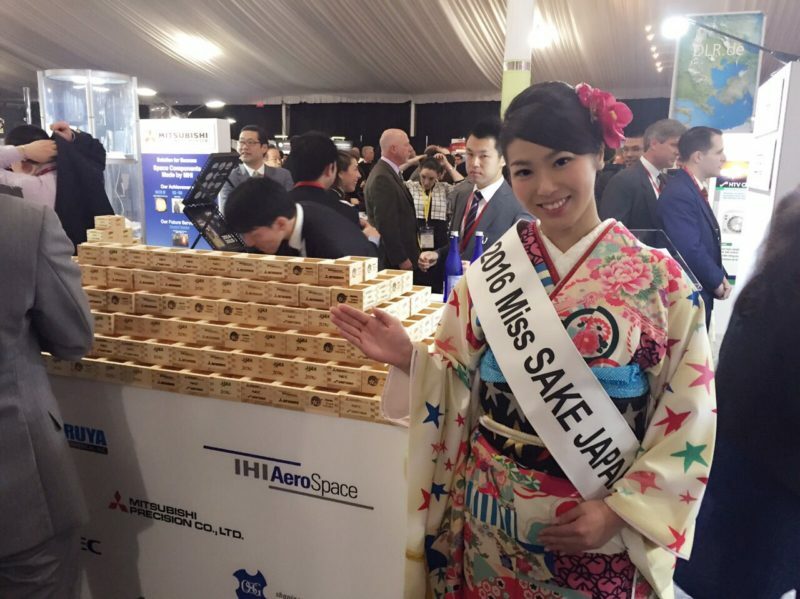 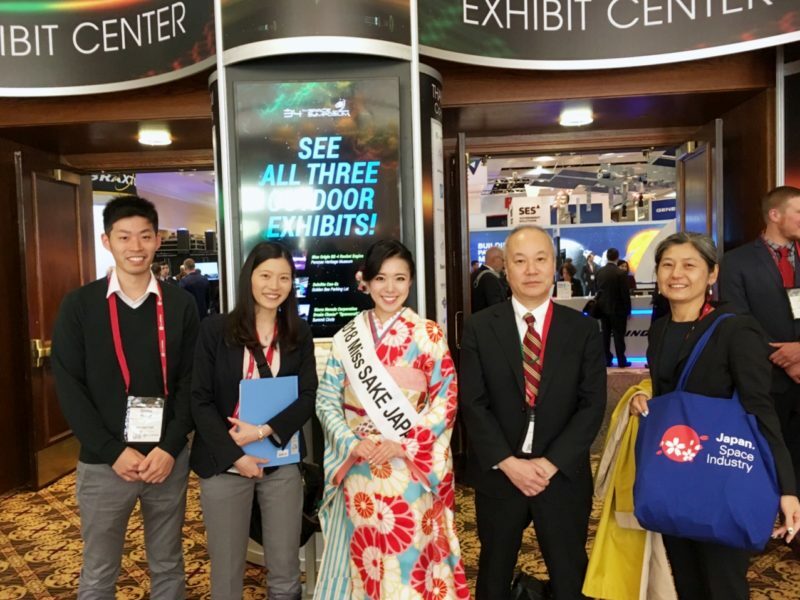 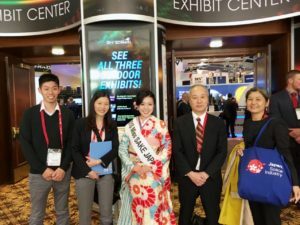 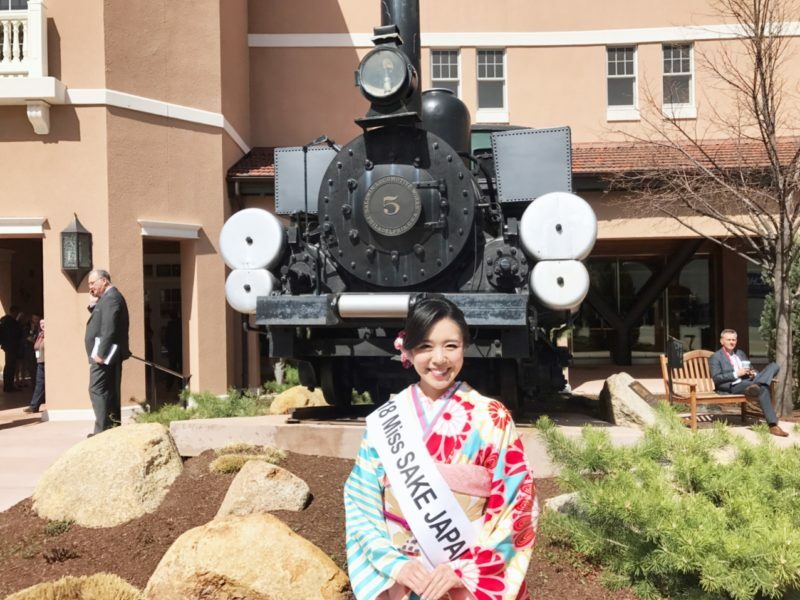 1 Asami Sudo, 2018 Miss SAKE, joined the 34th Space Symposium at the Broadmoor in Colorado Springs, Colorado, USA. 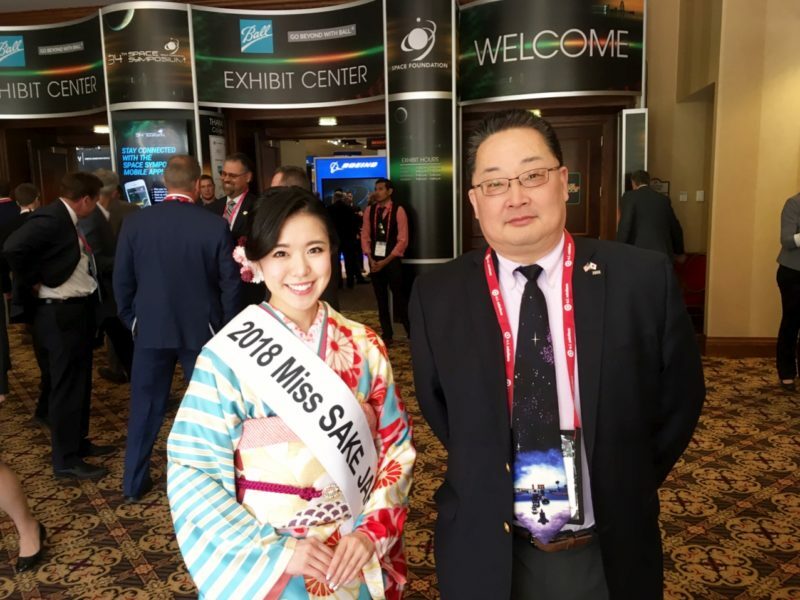 Asami Sudo, 2018 Miss SAKE, joined the 34th Space Symposium at the Broadmoor in Colorado Springs, Colorado, USA. From April 16th to 19th, the 34th Space Symposium was held at The Broadmoor in Colorado Springs, Colorado, USA, and I joined it. The Space Symposium has brought together space leaders from around the world to discuss, address and plan for the future of space since the inaugural event in 1984. 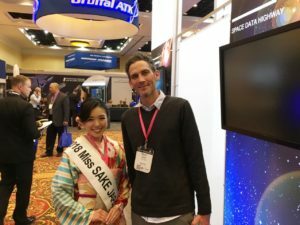 Attendees at that original event numbered barely 250 space enthusiasts, while participants in recent years have surpassed 14,000. As for Japanese companies, JETRO, Japan External Trade Organization, and JAXA, Japan Aerospace Exploration Agency, set “THE JAPANESE PAVILION” where Japanese companies introduced their technologies and projects. At the JAPANESE PAVILION, Miss SAKEs have joined an event every year to serve sake for visitors to get interested in Japanese technologies and projects. 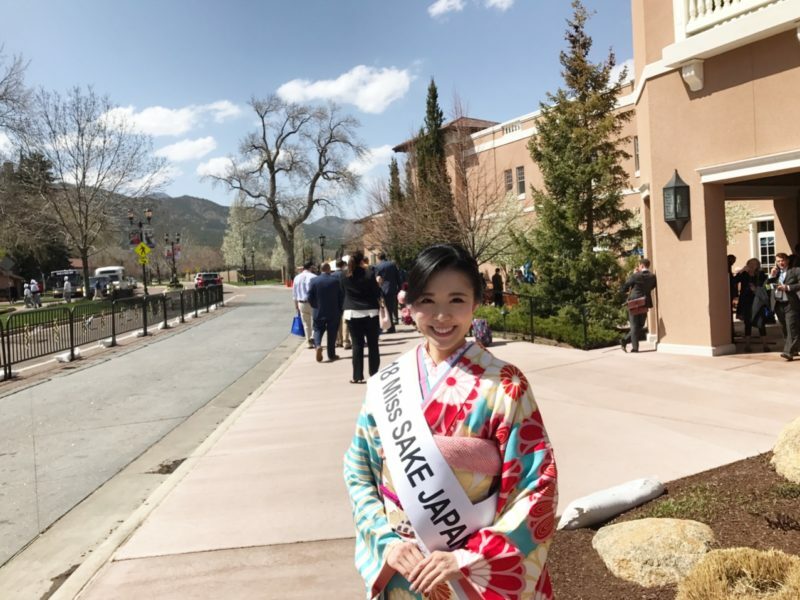 Unfortunately, because of a strong wind, which made the pavilion close on the first day, and a fire at the airport, which made some flight troubles, I could not attend the sake-serving event this year. 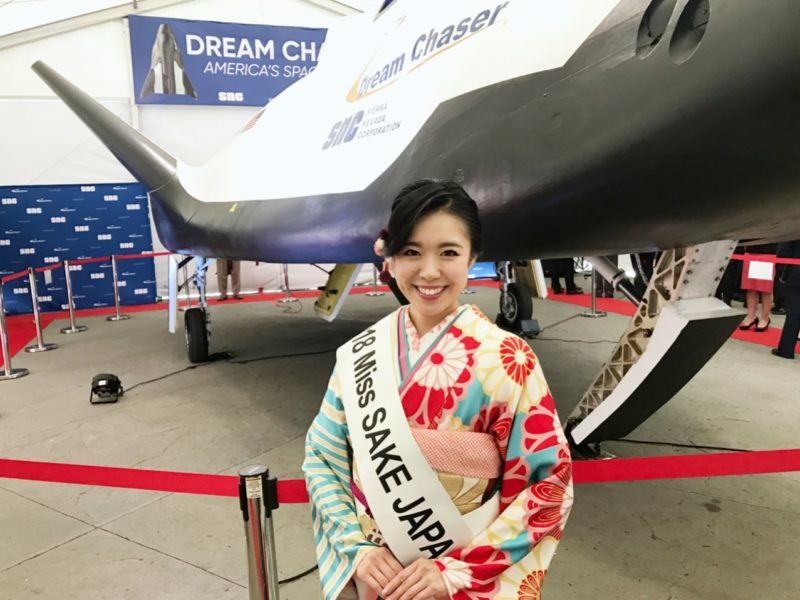 But I could join the Space Symposium and look inside the exhibition space, which made me realize that it’s a big and important opportunity for interaction among all sectors of space. And while I was walking, so many people spoke to me, saying, “Wow, you came from Japan, how nice!” and “I like your kimono. 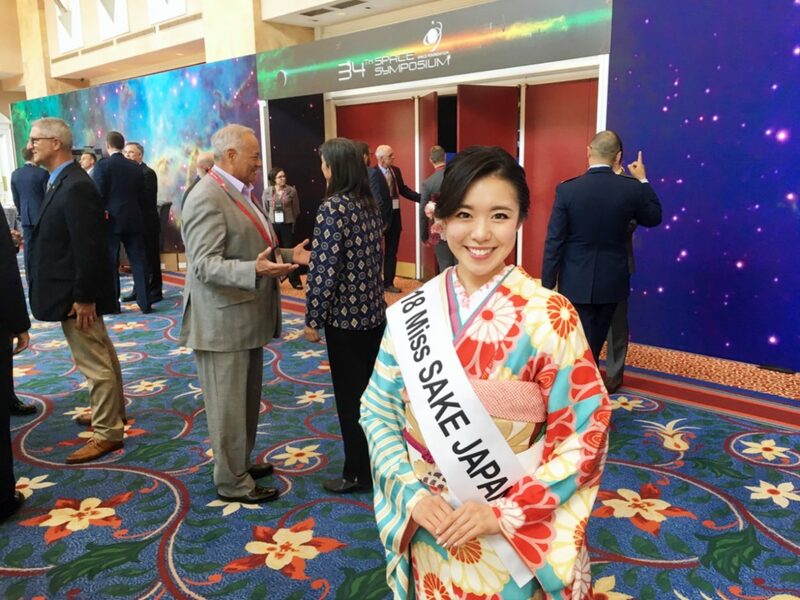 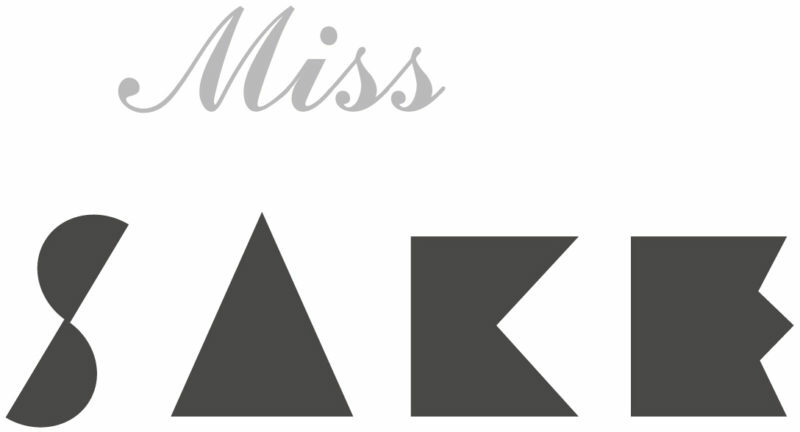 It’s so beautiful.” To them, I introduced my mission as Miss SAKE to join the symposium. 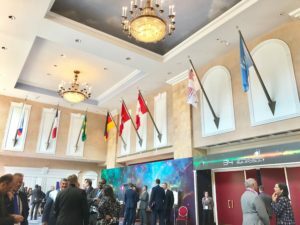 “The Space Symposium” may sound like a completely global field where a notion of one nation has little important meaning. 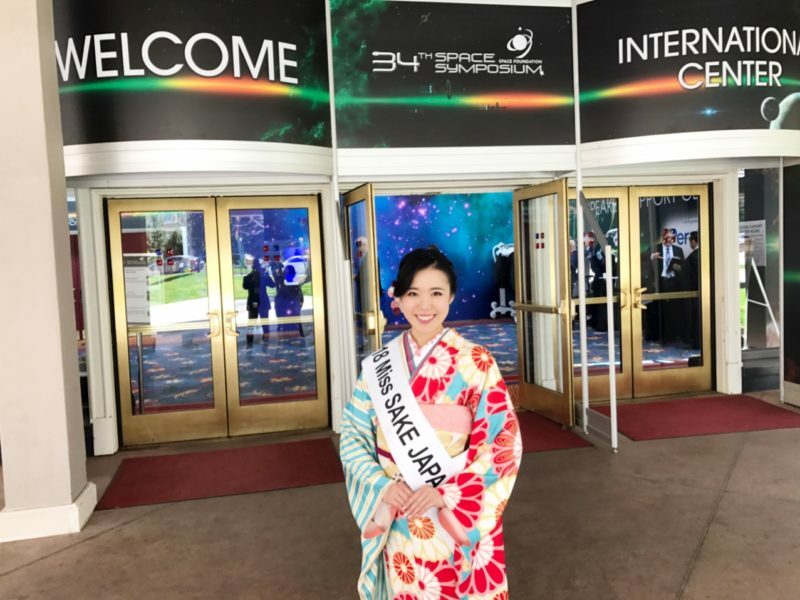 But, exactly as it’s an international event, sake and kimono as apparently recognizable Japanese culture can contribute to the introduction of Japanese “work”. By joining the space symposium, I could strongly feel such possibility. 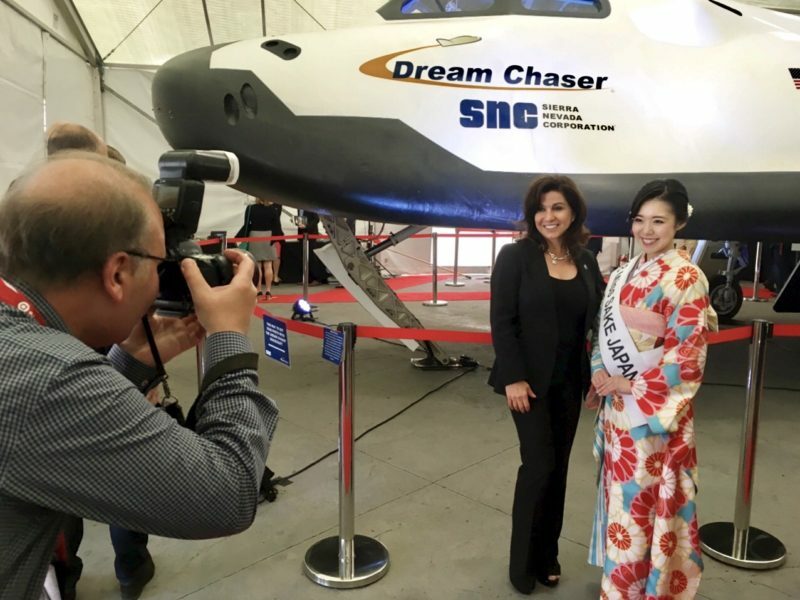 I extend my deep appreciation to people from JETRO and JAXA and all the people involved in the event.